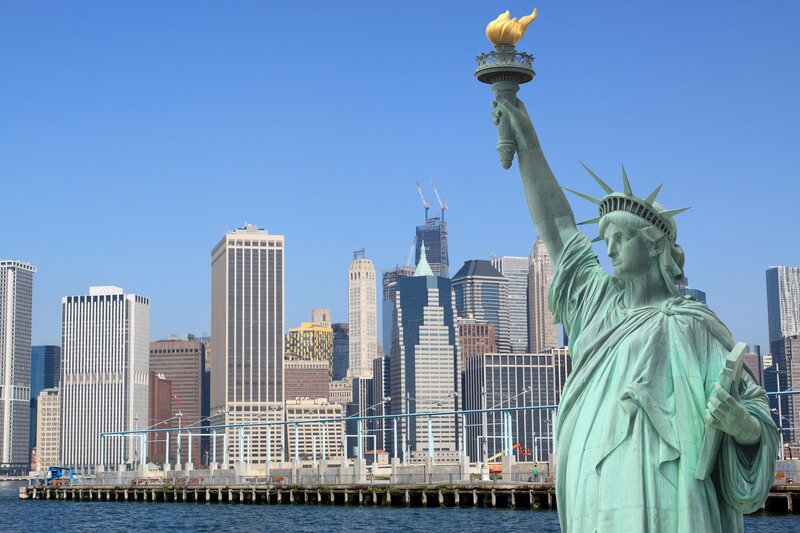 The immigrant investor program, more commonly known as EB-5, is a United States visa program that was created in the 1990s. The program enables foreign investors to obtain a U.S. Legal Permanent Residency by investing in a business that will benefit the US economy and create jobs. Any foreign investor who fulfills a certain set of initial requirements set by the U.S. government is eligible to participate in the EB-5 visa program. A minimum investment of $500,000 USD to be made through an EB-5 regional center by the investor. The funds need to be legitimate and the investor needs to prove that the capital invested was obtained through legal source(s) that are verifiable. A thorough background check is done to ensure that the investor and/or members of their family do not hold a criminal record in their past or have not broken any U.S. immigration laws. No lottery or sponsorship required by the visa holder or family. Both the investor and his/her family (wife and all children below the age of 21 years) are automatically eligible for Green Cards. The EB-5 visa ensures that you can live, work, attend school or retire anywhere in the U.S.! An EB-5 visa holder may study at lower university tuition rates as compared to international students! 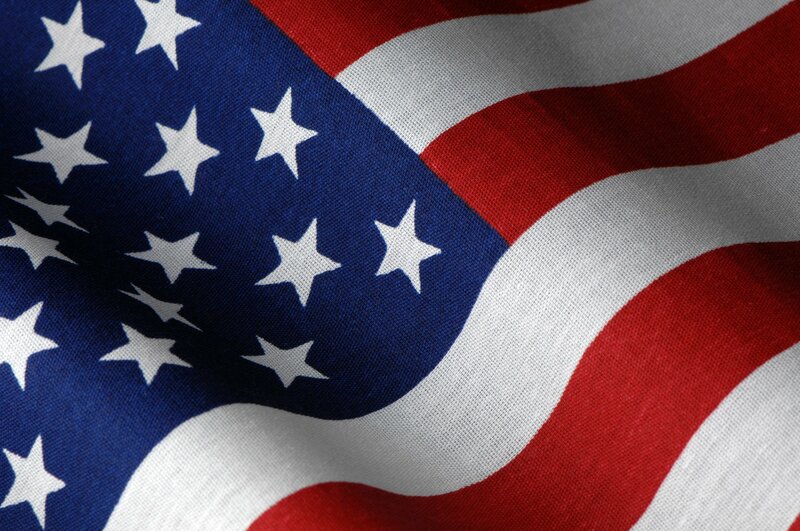 A direct gateway to attaining U.S. citizenship after 5 years of Permanent Residency. The U.S. Department of State (DOS) issues monthly reports on the availability of immigrant visas. The annual total of any one country cannot exceed more than 7 percent of all eligible countries over all the visa categories. When the annual 7 percent allocation for any single country's exhausted in a particular fiscal year, the DOS creates a waiting line that determines the order in which immigrant visas are issued going forward for petitions from that country. This limited number of visas is a cause of concern for many as retrogression has started setting in. What is retrogression? Basically, it is Visa Backlog for a particular country because applicants from that country have exhausted the 7% limit. 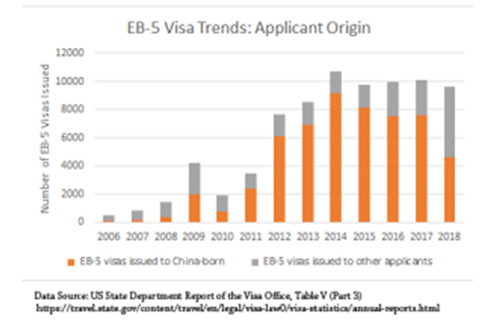 While other types of visas are already witnessing a long waiting lines, the EB-5 visa remains in safer territories (for now), except for China where retrogression has already set in with a waiting period of up to 14 years! 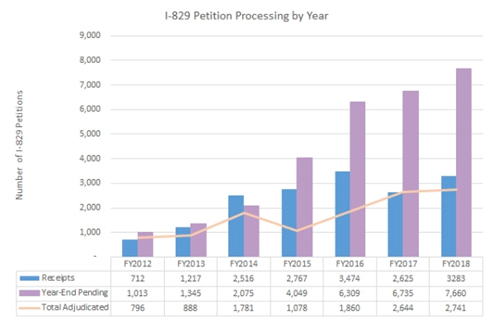 Vietnam and India, occupying the second and third spot in the number of successful EB-5 visa applications, are not far behind in terms of retrogression's. 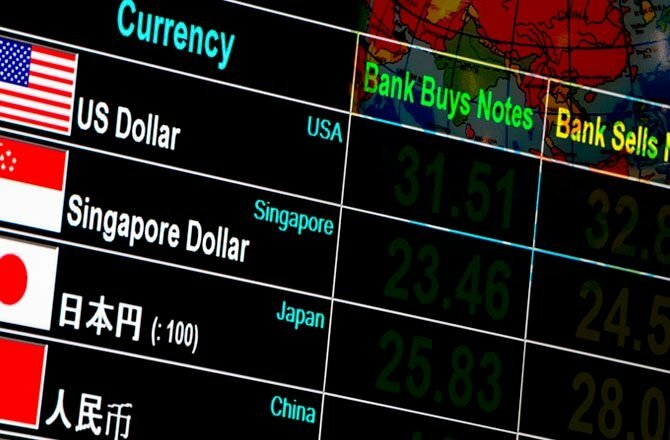 Various trends and reports predict late 2019 to be the estimated time by which India may become subject to retrogression. 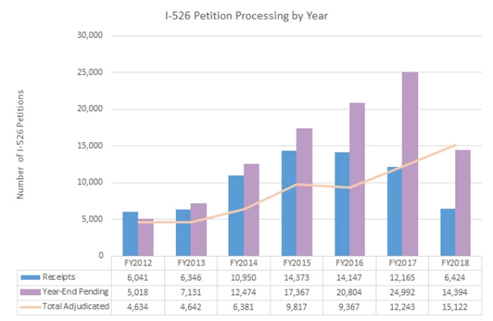 The petition processing data for the fourth quarter of 2018 is disappointing news for investors and future prospective investors alike as the backlog of pending petitions grows and processing times increase when the Investor Program Office (IPO) receives more petitions in a year than it can process. This is going to result in major delays of processing of forms after subsequent applications have been submitted. This retrogression is a result of a rising number of applicants from these nations. WHAT DOES IT MEAN FOR YOU AND YOUR FAMILY AND WHY YOU NEED TO ACT NOW! The EB-5 path to US Legal Residency is becoming increasingly popular in India. At the current pace, advancing retrogression trends are soon going to catch up to India and the statistics are red signals for investors and their families looking to start a new life in the U.S. If you are one of the many prospective EB-5 applicants, there is a fairly good chance that the delay in applications processing time is going to affect you and your family if you do not apply soon. The limit of 10,000 EB-5 visas every year includes investors and their family members. The most indicative effect of this delay would be on investors with children approaching the age of 21 years. The current system lets the child's age be considered frozen if the EB-5 petition is filed. This, however, does not happen in case of a quota backlog. This would make things complicated for both the child and parent as the child might not be eligible for a green card directly. The good news is that today there is still an opportunity to pursue EB-5 before the risk of retrogression delays becomes a reality. But time is limited. Prospective investors looking to kickstart their EB-5 visa process should do so as early as possible to refrain from getting stuck in retrogression.